Direct-to-consumer genetic testing company 23andMe hasstopped offering its health-related test to new customers, bringing it in line with a request from the US Food and Drug Administration. In letter sent on Nov. 22, FDA said that 23andMe had not adequately responded to its concerns regarding the validity of their Personal Genome Service. The letter instructed 23andMe to “immediately discontinue marketing” the service until it receives authorization from the agency. According to a post at the company’s blog from CEO Anne Wojcicki, 23andMe customers who purchased their kits on or after Nov. 22 “will not have access to health-related results.” They will, though, have access to ancestry information and their raw genetic data. Wojcicki notes that the customers may have access to the health interpretations in the future depending on FDA marketing authorization. Those customers are also being offered a refund. Customers who purchased their kits before Nov. 22 will have access to all reports. “We remain firmly committed to fulfilling our long-term mission to help people everywhere have access to their own genetic data and have the ability to use that information to improve their lives,” a notice at the 23andMe site says. In a letter appearing in the Wall Street Journal earlier this week, FDA Commissioner Margaret Hamburg wrote that the agency “supports the development of innovative tests.” As an example, she pointed to its recent clearance of sequencing-based testsfrom Illumina. She added that the agency also understands that some consumers do want to know more about their genomes and their genetic risk of disease, and that a DTC model would let consumers take an active role in their health. “The agency’s desire to review these particular tests is solely to ensure that they are safe, do what they claim to do and that the results are communicated in a way that a consumer can understand,” Hamburg said. In a statement, 23andMe’s Wojcicki says that the company remains committed to its ethos of allowing people access to their genetic information. “Our goal is to work cooperatively with the FDA to provide that opportunity in a way that clearly demonstrates the benefit to people and the validity of the science that underlies the test,” Wojcicki adds. The Food and Drug Administration (FDA) is sending you this letter because you are marketing the 23andMe Saliva Collection Kit and Personal Genome Service (PGS) without marketing clearance or approval in violation of the Federal Food, Drug and Cosmetic Act (the FD&C Act). This product is a device within the meaning of section 201(h) of the FD&C Act, 21 U.S.C. 321(h), because it is intended for use in the diagnosis of disease or other conditions or in the cure, mitigation, treatment, or prevention of disease, or is intended to affect the structure or function of the body. For example, your company’s website at http://www.23andme.com/health (most recently viewed on November 6, 2013) markets the PGS for providing “health reports on 254 diseases and conditions,” including categories such as “carrier status,” “health risks,” and “drug response,” and specifically as a “first step in prevention” that enables users to “take steps toward mitigating serious diseases” such as diabetes, coronary heart disease, and breast cancer. Most of the intended uses for PGS listed on your website, a list that has grown over time, are medical device uses under section 201(h) of the FD&C Act. Most of these uses have not been classified and thus require premarket approval or de novo classification, as FDA has explained to you on numerous occasions. Some of the uses for which PGS is intended are particularly concerning, such as assessments for BRCA-related genetic risk and drug responses (e.g., warfarin sensitivity, clopidogrel response, and 5-fluorouracil toxicity) because of the potential health consequences that could result from false positive or false negative assessments for high-risk indications such as these. For instance, if the BRCA-related risk assessment for breast or ovarian cancer reports a false positive, it could lead a patient to undergo prophylactic surgery, chemoprevention, intensive screening, or other morbidity-inducing actions, while a false negative could result in a failure to recognize an actual risk that may exist. Assessments for drug responses carry the risks that patients relying on such tests may begin to self-manage their treatments through dose changes or even abandon certain therapies depending on the outcome of the assessment. For example, false genotype results for your warfarin drug response test could have significant unreasonable risk of illness, injury, or death to the patient due to thrombosis or bleeding events that occur from treatment with a drug at a dose that does not provide the appropriately calibrated anticoagulant effect. These risks are typically mitigated by International Normalized Ratio (INR) management under a physician’s care. The risk of serious injury or death is known to be high when patients are either non-compliant or not properly dosed; combined with the risk that a direct-to-consumer test result may be used by a patient to self-manage, serious concerns are raised if test results are not adequately understood by patients or if incorrect test results are reported. Your company submitted 510(k)s for PGS on July 2, 2012 and September 4, 2012, for several of these indications for use. However, to date, your company has failed to address the issues described during previous interactions with the Agency or provide the additional information identified in our September 13, 2012 letter for(b)(4) and in our November 20, 2012 letter for (b)(4), as required under 21 CFR 807.87(1). Consequently, the 510(k)s are considered withdrawn, see 21 C.F.R. 807.87(1), as we explained in our letters to you on March 12, 2013 and May 21, 2013. To date, 23andMe has failed to provide adequate information to support a determination that the PGS is substantially equivalent to a legally marketed predicate for any of the uses for which you are marketing it; no other submission for the PGS device that you are marketing has been provided under section 510(k) of the Act, 21 U.S.C. § 360(k). The Office of In Vitro Diagnostics and Radiological Health (OIR) has a long history of working with companies to help them come into compliance with the FD&C Act. Since July of 2009, we have been diligently working to help you comply with regulatory requirements regarding safety and effectiveness and obtain marketing authorization for your PGS device. FDA has spent significant time evaluating the intended uses of the PGS to determine whether certain uses might be appropriately classified into class II, thus requiring only 510(k) clearance or de novo classification and not PMA approval, and we have proposed modifications to the device’s labeling that could mitigate risks and render certain intended uses appropriate for de novo classification. Further, we provided ample detailed feedback to 23andMe regarding the types of data it needs to submit for the intended uses of the PGS. As part of our interactions with you, including more than 14 face-to-face and teleconference meetings, hundreds of email exchanges, and dozens of written communications, we provided you with specific feedback on study protocols and clinical and analytical validation requirements, discussed potential classifications and regulatory pathways (including reasonable submission timelines), provided statistical advice, and discussed potential risk mitigation strategies. As discussed above, FDA is concerned about the public health consequences of inaccurate results from the PGS device; the main purpose of compliance with FDA’s regulatory requirements is to ensure that the tests work. However, even after these many interactions with 23andMe, we still do not have any assurance that the firm has analytically or clinically validated the PGS for its intended uses, which have expanded from the uses that the firm identified in its submissions. In your letter dated January 9, 2013, you stated that the firm is “completing the additional analytical and clinical validations for the tests that have been submitted” and is “planning extensive labeling studies that will take several months to complete.” Thus, months after you submitted your 510(k)s and more than 5 years after you began marketing, you still had not completed some of the studies and had not even started other studies necessary to support a marketing submission for the PGS. It is now eleven months later, and you have yet to provide FDA with any new information about these tests. You have not worked with us toward de novo classification, did not provide the additional information we requested necessary to complete review of your 510(k)s, and FDA has not received any communication from 23andMe since May. Instead, we have become aware that you have initiated new marketing campaigns, including television commercials that, together with an increasing list of indications, show that you plan to expand the PGS’s uses and consumer base without obtaining marketing authorization from FDA. Therefore, 23andMe must immediately discontinue marketing the PGS until such time as it receives FDA marketing authorization for the device. The PGS is in class III under section 513(f) of the FD&C Act, 21 U.S.C. 360c(f). Because there is no approved application for premarket approval in effect pursuant to section 515(a) of the FD&C Act, 21 U.S.C. 360e(a), or an approved application for an investigational device exemption (IDE) under section 520(g) of the FD&C Act, 21 U.S.C. 360j(g), the PGS is adulterated under section 501(f)(1)(B) of the FD&C Act, 21 U.S.C. 351(f)(1)(B). Additionally, the PGS is misbranded under section 502(o) of the Act, 21 U.S.C. § 352(o), because notice or other information respecting the device was not provided to FDA as required by section 510(k) of the Act, 21 U.S.C. § 360(k). Please notify this office in writing within fifteen (15) working days from the date you receive this letter of the specific actions you have taken to address all issues noted above. Include documentation of the corrective actions you have taken. If your actions will occur over time, please include a timetable for implementation of those actions. If corrective actions cannot be completed within 15 working days, state the reason for the delay and the time within which the actions will be completed. Failure to take adequate corrective action may result in regulatory action being initiated by the Food and Drug Administration without further notice. These actions include, but are not limited to, seizure, injunction, and civil money penalties. If you have questions relating to this matter, please feel free to call Courtney Lias, Ph.D. at 301-796-5458, or log onto our web site at www.fda.gov for general information relating to FDA device requirements. On 26 June 2000, scientists announced the completion of a rough draft of the human genome, the result of the $3 billion publicly funded Human Genome Project. In the decade since, the cost of genome sequencing has plummeted, coinciding with the development of deep sequencing technologies and allowing, for the first time, personalized genetic medicine. The advent of personal genetics has profound implications for society that are only beginning to be discussed, even as the technologies are rapidly maturing and entering the market. This symposium will focus on how the genomic revolution may affect our society in coming years and how best to reach out to the general public on these important issues. How has the promise of genomics, as stated early in the last decade, matched the reality we observe today? What are the new promises — and pitfalls — of genomics and personal genetics as of 2013? What are the ethical implications of easy and inexpensive human genome sequencing, particularly with regard to ownership and control of genomic datasets, and what stakeholder interests must be addressed? How can the scientific community engage with the public at large to improve understanding of the science behind these powerful new technologies? The symposium will comprise three 15-minute talks from representatives of relevant sectors (academia/education, journalism, and industry), followed by a 45-minute panel discussion with the speakers. How does 23andMe genotype my DNA? 23andMe is a DNA analysis service providing information and tools for individuals to learn about and explore their DNA. We use the Illumina OmniExpress Plus Genotyping BeadChip (shown here). In addition to the variants already included on the chip by Illumina, we’ve included our own, customized set of variants relating to conditions and traits that are interesting. Technical information on the performance of the chip can be found on Illumina’s website. All of the laboratory testing for 23andMe is done in a CLIA-certified laboratory. Once our lab receives your sample, DNA is extracted from cheek cells preserved in your saliva. The lab then copies the DNA many times — a process called “amplification” — growing the tiny amount extracted from your saliva until there is enough to be genotyped. In order to be genotyped, the amplified DNA is “cut” into smaller pieces, which are then applied to our DNA chip, a small glass slide with millions of microscopic “beads” on its surface (read more about this technology). Each bead is attached to a “probe”, a bit of DNA that matches one of the approximately one million genetic variants that we test. The cut pieces of your DNA stick to the matching DNA probes. A fluorescent signal on each probe provides information that can tell us which version of that genetic variant your DNA corresponds to. Although the human genome is estimated to contain about 10-30 million genetic variants, many of them are correlated due to their proximity to each other. Thus, one genetic variant is often representative of many nearby variants, and the approximately one million variants on our genotyping chip provide very good coverage of common variation across the entire genome. Our research team has also hand-picked tens of thousands of additional genetic variants linked to various conditions and traits in the scientific literature to analyze on our genotyping chip. As a result we can provide you with personal genetic information available only through 23andMe. Genetics service 23andMe announced some new cash in the bank today with a $50 million raise from Yuri Milner, 23andMe CEO Anne Wojcicki, Google’s Sergey Brin (who also happens to be Wojcicki’s husband), New Enterprise Associates, MPM Capital, and Google Ventures. With today’s new funding also comes the reduction of the price of its genome analysis service to $99. This isn’t special holiday pricing (as 23andMe has run repeatedly in the past) the company tells me, but rather what its normal pricing will be from now on. This move is overdue, at least as far as 23andMe’s business model is concerned. Just yesterday TechCrunch Conference Chair Susan Hobbs told me she was waiting for another $99 pricing deal to buy the Personal Genome Analysis product. Sure 23andMe has experimented with various pricing models, including subscription, since its founding in 2007, but had been at an official and prohibitive $299 price point until today. It’s also apparently been rigorously beta-testing various price points in the past couple of weeks, at some point experimenting with some lower than $99. For comparison, the company’s original pricing began at $999 and offered subscribers just 14 health and trait reports versus today’s 244 reports, as well as genetic ancestry information. Natera, Counsyl and Pathway Genomics are also in the genomics space, but they work by offering their services through doctors rather than direct to consumer. Since the company’s launch five years ago, it’s had 180K civilians profile their DNA, and representative Catherine Afarian tells us that, post-price drop and funding, its goal is to reach a million customers in 2013. This is a supremely ambitious goal considering it wants to turn an average user acquisition rate of 36K per year into one of 820K in one year alone. But Afarian isn’t fazed and brings up how the company once sold out 20k in $99 account inventory on something called “DNA Day.” “Once we can offer the service at $99 it means the average American will buy in,” she said. That $299 was too pricey, according to Hobbs, but $99 might be just right. She said the $99 price point, which yes, is less than an iPhone, was the main factor in her decision to buy in. “23andMe is more ‘nice-to-know’ information rather than ‘need-to-know’ information. It’s nice to know your ancestry. It’s more of a need to know that you are predisposed genetically for a type of cancer, so that you may take precautionary measures,” she said, implying that the data given by 23andMe isn’t necessarily vital medical information, or actionable when it is. While 23andMe can give you indicators about certain disease risks, it doesn’t close the loop, as in tell you what to do to prevent these diseases. Hobbs said eventually that she wouldn’t buy it, but only because she was looking into more exact lineage information for her little girl, and you need a Y chromosome in all DNA tests to show paternal lineage. Afarian also countered this hesitation, saying that what makes 23andMe unique is that it’s not only looking at just your Y or your mitochondrial DNA, but also your autosomal DNA, which does show some patrilineal information for females who lack that precious Y. While still sort of a novelty, the potential for 23andMe goes beyond lineage and hopefully that extra $50 million will go further than keeping the price low and into research. The company hopes that a million users will result in a giant database of 23andWe genetic info that can be used to spot trends, like which genes mean a higher risk of diabetes/cancer, etc. Which is great if it happens but for now remains a pipe dream for 23andMe/We. This week, 23andme, the personalized genomics company founded by Anne Wojcicki, wife of Google co-founder Sergey Brin, got an influx of investment cash ($50 million). According to their press release, they are using the money to bring the cost of their genetic test down to $99 (it was previously $299) which, they hope, will inspire the masses to get tested. So should the masses indulge? I prefer a quantified self approach to this question. At the heart of the quantified self-movement lies a very simple idea: metrics make us better. For devotees, this means “self-tracking,” using everything from the Nike fuel band to the Narcissism Personality Index to gather large quantities of personal data and—the bigger idea—use that data to improve performance. If you consider that performance suffers when health suffers then a genetic test can been seen as a kind of metric used to improve performance. This strikes me as the best way to evaluate this idea and leads us to ask the same question about personalized genomics that the quantified self movement asks about every other metric: will it improve performance. Arguments rage all over the place on this one, but the short answer is that SNP tests—which is the kind of DNA scan 23andme relies upon— don’t tell us all that much (yet). They analyze a million genes out of three billion total and the impact those million play in long term-health outcomes is still in dispute. For example, the nature/nurture split is normally viewed at 30/70—meaning environmental factors play a far more significant role in long-term health outcomes than genetics. So if prevention is not available the only thing left is fear and anxiety. Unfortunately, in the past few decades, there have been hundreds of studies linking stress to everything from immunological disorders to heart disease to periodonitic troubles. So while finding out you may be at risk for Parkinson’s may make you feel informed, that knowledge isn’t going to stop you from developing the disease—but the resulting stress may contribute to a host of other complications. This brings up a different question: if personalized genomics can’t yet help us much and could possibly hurt us—where’s the upside? Turns out there’s a big upside: Citizen science. SNP tests are not yet viable because we need more info. 23andme talks about the “power of one million people,” meaning, if one million take these tests then the resulting genetic database could lead to big research breakthroughs and these could lead to all sorts of health/performance improvements. This is what 23andme is really selling for $99 bucks a pop—a crowdsourced shot at unraveling a few more DNA mysteries. And this also means that the question at the heart of the personalized genomics industry is not about metrics at all—it’s about morals: Should I risk my health for the greater good? You can browse your data for all of the variants we test using the Browse Raw Data feature, or download your data here. What unexpected things might I learn? Can I use the saliva collection kit for infants and toddlers? When and how do I get my data? How do I collect saliva samples? How long will it take for my sample to reach the lab? Which Ancestry setting in My Profile should I choose? How do I use Browse Raw Data? What do the options under the “Account” link in the upper right-hand corner control? I know that a particular person is my relative. What’s the probability that we share a sufficient amount of DNA to be detected by Relative Finder? What is the average percent DNA shared for different types of cousins? How does Relative Finder estimate the Predicted Relationship? What do I get in return for taking surveys? With the completion of the mapping of the human genome, we now have access to all the DNA sequence information responsible for human biology. Together with microarray technology, we are ushering in a new era in reproductive medicine—the era of Reproductive Genomics. Whole genome microarray analysis of the testis and ovary suggests that a substantial part of the genome is expressed in reproductive tissues and many of them are likely to be important for normal reproduction. Yet adequate expression and functional information is only available for less than 10% of them. Hence, one of the important questions in reproductive studies now is ‘how do we associate function with the genes expressed in reproductive tissues?’ The establishment of mutations in animal models such as the mouse represents one powerful approach to address this question. now allows the identification of disease-associated single nucleotide variation at a much faster pace. Functional examination of those candidate genes is needed to determine if those genes or variants are indeed involved in reproductive disease. Generating mutations in murine homologs of candidate genes represents a direct way to determine their roles, and mouse models will further allow the dissection of genetic pathways underlying the disease condition and provide models to test possible drug treatments. Thus, how to generate mouse models efficiently becomes a priority issue in the Genomics era of Reproductive Medicine. Therefore, it could be intimidating for people who have little experience in mouse research. Fortunately, there are some technological developments in the mouse community that make the task of generating mouse mutations less intimidating to people unfamiliar with mouse genetics. One of these developments is the effort led by the International Gene Trap Consortium (IGTC) to generate a library of mouse mutant ES cells covering most of the genes in the mouse genome. This method saves researchers the tedious and sometimes challenging tasks of making knockout vectors and screening ES cell colonies and directly provides researchers an ES cell clone carrying the mutation of the gene of interest. Because gene trapping involves the use of different mechanisms in generating mutations from the traditional knockout method, and its efficacy in targeting reproductive genes which often are expressed in later development or adult has not been fully established, it is necessary to examine the benefits and limitations of this technology, especially in the perspective of reproductive medicine so that reproductive researchers and physicians who are interested in mouse models could become familiar with this technology. With this in mind, we provide an overview of the gene trapping mutagenesis method and its possible application to Reproductive Medicine. We evaluate gene trapping as a method in terms of its efficiency in comparison with traditional knockout methods and use an in-house software program to screen the IGTC database for existing cell lines with possible mutations in genes expressed in various reproductive tissues. Among over seven thousand genes highly expressed in human ovaries, almost half of them have existing gene trap lines. Additionally, from 900 human seminal fluid proteins, 43% of them have gene trap hits in their mouse homologs. Our analysis suggests gene trapping is an effective mutagenesis method for identifying the genetic basis of reproductive diseases and many mutations for important reproductive genes are already present in the database. Given the rapid growth of the number of gene trap lines, the continuing evolution of gene trap vectors, and its easy accessibility to scientific communities, gene trapping could provide a fast and efficient way of generating mouse mutation(s) for any one particular gene of interest or multiple genes involved in a pathway at the same time. Consequently, we recommend gene trapping to be considered in the planning of mouse modeling of human reproductive disease and the IGTC be the first stop for people interested in searching for and generating mouse mutations of genes of interest. Promoter trap vectors contain promoterless reporter regions, usually bgeo (a fusion of neomycin phosphotransferase and b-galactosidase), and thus have to be integrated into an exon of a transcriptionally active locus in order for the cell to be selected for neomycin resistance or by LacZ staining. Gene trap vectors demonstrate more utility by their added ability to integrate into an intron. These vectors contain a splice acceptor (SA) site positioned at the 50-end of the reporter gene, allowing the vector to be spliced to the endogenous gene to form a fusion transcript. Later improvements include an internal ribosomal re-entry site (IRES) between the SA site and the reporter gene sequence; as a result, the reporter gene can be translated even when it is not fused to the trapped gene. Second-generation vectors have sought to trap genes that are transcriptionally silent in ES cells. Although these vectors still contain a promoterless reporter gene with a 50 SA sequence, the antibiotic resistance gene is under the control of a constitutive promoter. Consequently, antibiotic selection is independent from the expression of the trapped gene, whereas the expression of the reporter gene is still regulated by the endogenous promoter. A disadvantage of these vectors is that all integration events give rise to resistant ES cells regardless of whether or not the vector has integrated into a gene locus. To increase trapping efficiency, a new class of polyA gene trap vectors was developed where the polyadenylation signal of the neo gene was replaced by a splice donor sequence, thereby requiring the vector to trap an endogenous polyA signal for expression of neo. These vectors were recently shown to have a bias toward insertion near the 30-end of a gene due to nonsense-mediated mRNA decay of the fusion transcript. An improved polyA trap vector, UPATrap, was developed to overcome this bias using an IRES sequence placed downstream of a marker containing a termination codon. Gene trap vectors are usually introduced by retroviral infection or electroporation of plasmid DNA, with each approach having its own advantages and disadvantages. While relatively difficult to manipulate, retroviral gene traps display a preference toward insertion at the 50-end of genes, which is advantageous for generating null alleles. Moreover, the multiplicity of infection with retroviruses can be tightly controlled to a single trap event or simultaneous disruption in many genes. However, there may be a possible bias integration toward certain ‘hotspots’ of the genome. In contrast, plasmid-based gene trap vectors integrate more randomly into the genome. This can, however, potentially result in a functional partial protein and a hypomorphic phenotype. Additionally, plasmid vectors usually result in multiple integrations in 20–50% of cell lines. The most common approach for identifying the gene trap integration site is to use 50 or 30 rapid amplification of cDNA ends (RACE) to amplify the fusion transcript. The sequence provides a DNA tag for the identification of the disrupted gene and can be used for genotypic screens. Mutagenesis screens can also be performed on the basis of gene function or expression, and data from an expression sequence combined with sequence tag information can elucidate novel expression patterns of known genes or to suggest gene function. We have been able to use our SpiderGene program to identify genes in reproductive tissues that are present in the IGTC database and moreover to narrow down those with restricted expression in the testis and ovary. Gene trapping possesses an enormous potential for researchers in the reproductive field seeking to create mouse models for a gene mutation. The improving versatility of gene trap vectors has enabled groups to trap an increasing number of genes in various organisms, including Arabidopsis, Zebra fish and Drosophila. The gene trap effort has perhaps been the most extensive in the murine genome, with over 57000 cell lines representing more than 40% of the known genome. These large-scale screens will likely achieve the trapping of the entire mouse genome in the coming years, but the power of gene trapping will only be fully demonstrated by its usefulness in investigator-driven focused functional analyses. In our laboratory, future work will focus on generating knockout mice in order to investigate gene function and to identify gene products that might have therapeutic value in reproduction. As screening efforts continue, gene trapping will continue to be a valuable tool in mouse genomics and will undoubtedly yield new discoveries in Reproductive Physiology and Pathology. HAPAA: a tool for ancestral haploblock reconstruction. Specifically, given the genotype (for instance, as derived by an Illumina genotyping array) of an individual of admixed ancestry, find the source population for each segment of the individual’s genome. A tool for aligning multiple global protein interaction networks; Graemlin also supports search for homology between a query module of proteins and a database of interaction networks. CONTRAfold: Prediction of RNA secondary structure with a Conditional Log-Linear model that relies on automatically trained parameters, rather than on a physics-based energy model of RNA folding. CONTRAlign: A protein sequence aligner that users can optionally train on feature sets such as secondary structure and solvent accessibility; see the CONTRA project above. A protein multiple sequence aligner that exhibits high accuracy on popular benchmarks. A protein multiple aligner that automatically finds domain structures of sequences with shuffled and repeated domain architectures. MotifCut: a non-parametric graph-based motif finding algorithm. MotifScan: a non-parametric method for representing motifs and scanning DNA sequences for known motifs. CompareProspector: motif finding with Gibbs sampling & alignment. Stanford ENCODE: Multiple Alignments of 1% of the Human genome. Typhon: BLAST-like sequence search to a multiple alignments database. LAGAN: tools for genomic alignment. These include the MLAGAN multiple alignment tool, and Shuffle-LAGAN for alignment with rearrangements. Application of Independent Component Analysis (ICA) to microarrays. Swiss scientists hope that a new online database called “arrayMap” will bring cancer genomics to the desktop, laptop, and tablet computers of pathologists and researchers everywhere. The database combines genomic information from three sources: large repositories such as the NCBI Gene Expression Omnibus (GEO) and Cancer Genome Atlas (CGA); journal literature; and submissions from individual investigators. It incorporates more than 42,000 genomic copy number arrays—normal and abnormal DNA comparisons—from 195 cancer types. “arrayMap includes a wider range of human cancer copy number samples than any single repository,” said principal investigator Michael Baudis, M.D. Ease of access, visualization, and data manipulation, he added, are top priorities in its ongoing development. A product of the University of Zurich Institute for Molecular Life Sciences, where Baudis researches bioinformatics and oncogenomics, arrayMap illustrates the importance of copy number abnormalities (CNA)—dysfunctional DNA gains or losses that visibly lengthen or shorten certain chromosomes—in the diagnosis, staging, and treatment of various malignancies. For the majority of the samples, probe level visualization as well as customized data representation facilitate gene level and genome wide data review. Results from multi-case selections can be connected to downstream data analysis and visualization tools, as we provide through our Progenetix project. arrayMap is developed by the group “Theoretical Cytogenetics and Oncogenomics” at the Institute of Molecular Life Sciences of the University of Zurich. These tools were developed for our research projects. You are welcome to try them out, but there is only sparse documentation. If more support and/or custom analysis is needed, please contact Michael Baudis regarding a collaborative project. 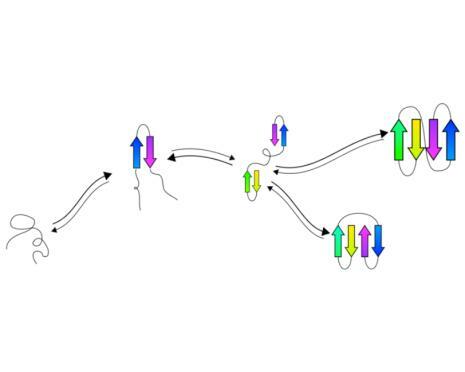 The BetaWrap program detects the right-handed parallel beta-helix super-secondary structural motif in primary amino acid sequences by using beta-strand interactions learned from non-beta-helix structures. The BetaWrapPro program predicts right-handed beta-helices and beta-trefoils by using both sequence profiles and pairwise beta-strand interactions, and returns coordinates for the structure. The Paircoil2 program predicts coiled-coil domains in protein sequences by using pairwise residue correlations obtained from a coiled-coil database. The original Paircoil program is still available for use. The MultiCoil program predicts the location of coiled-coil regions in amino acid sequences and classifies the predictions as dimeric or trimeric. An updated version, Multicoil2, will soon be available. The LearnCoil Histidase Kinase program uses an iterative learning algorithm to detect possible coiled-coil domains in histidase kinase receptors. The LearnCoil-VMF program uses an iterative learning algorithm to detect coiled-coil-like regions in viral membrane-fusion proteins. The Trilogy program discovers novel sequence-structure patterns in proteins by exhaustively searching through three-residue motifs using both sequence and structure information. The ChainTweak program efficiently samples from the neighborhood of a given base configuration by iteratively modifying a conformation using a dihedral angle representation. The TreePack program uses a tree-decomposition based algorithm to solve the side-chain packing problem more efficiently. This algorithm is more efficient than SCWRL 3.0 while maintaining the same level of accuracy. PartiFold: Ensemble prediction of transmembrane protein structures. Using statistical mechanics principles, partiFold computes residue contact probabilities and sample super-secondary structures from sequence only. tFolder: Prediction of beta sheet folding pathways. Predict a coarse grained representation of the folding pathway of beta sheet proteins in a couple of minutes. RNAmutants: Algorithms for exploring the RNA mutational landscape.Predict the effect of mutations on structures and reciprocally the influence of structures on mutations. A tool for molecular evolution studies and RNA design. AmyloidMutants is a statistical mechanics approach for de novo prediction and analysis of wild-type and mutant amyloid structures. Based on the premise of protein mutational landscapes, AmyloidMutants energetically quantifies the effects of sequence mutation on fibril conformation and stability. GLASS aligns large orthologous genomic regions using an iterative global alignment system. Rosetta identifies genes based on conservation of exonic features in sequences aligned by GLASS. RNAiCut – Automated Detection of Significant Genes from Functional Genomic Screens. MinoTar – Predict microRNA Targets in Coding Sequence. The Struct2Net program predicts protein-protein interactions (PPI) by integrating structure-based information with other functional annotations, e.g. GO, co-expression and co-localization etc. The structure-based protein interaction prediction is conducted using a protein threading server RAPTOR plus logistic regression. IsoRank is an algorithm for global alignment of multiple protein-protein interaction (PPI) networks. The intuition is that a protein in one PPI network is a good match for a protein in another network if the former’s neighbors are good matches for the latter’s neighbors. t-sample is an online algorithm for time-series experiments that allows an experimenter to determine which biological samples should be hybridized to arrays to recover expression profiles within a given error bound. BMIR is committed to the development of research tools as part of its goal to provide reusable, computational building blocks to facilitate the development of a vast array of systems. Some of these resources are described below. The National Center for Biomedical Ontology is a consortium of leading biologists, clinicians, informaticians, and ontologists who develop innovative technology and methods that allow scientists to create, disseminate, and manage biomedical information and knowledge in machine-processable form. Protégé is a free, open-source platform that provides its community of more than 80,000 users with a suite of tools to construct domain models and knowledge-based applications with ontologies. PharmGKB curates information that establishes knowledge about the relationships among drugs, diseases and genes, including their variations and gene products. Our mission is to catalyze pharmacogenomics research. 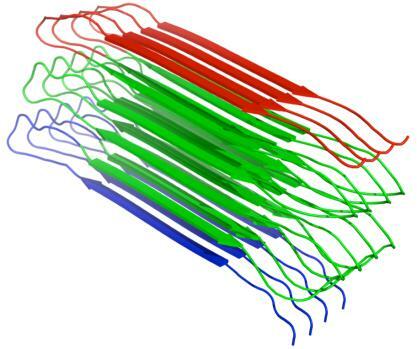 Simbios, the National NIH Center for Physics-based Simulation of Biological Structures is devoted to helping biomedical researchers understand biological form and function. It provides infrastructure, software, and training to assist users as they create novel drugs, synthetic tissues, medical devices, and surgical interventions. Simbios scientists investigate structure-function studies on a wide scale of biology – from molecules to organisms, and are currently focusing on challenging biological problems in RNA folding, myosin dynamics, neuromuscular biomechanics and cardiovascular dynamics. There are 8 publications for the project “Genomic Nosology for Medicine (GNOMED)”.